Update: With The Hate's blog no longer up, her letter is also unaccessible. I apologize for the dead links. A current post by The Hate is "teh letter" she wrote to Gamestop/EB corporate in an attempt inform them of how their policies have made it an unsafe company to work for. The letter is one of resignation. It has been dugg here, and I urge you to drive this one as high as you can. You may wonder why you should care, and I can tell you why. Chances are that you or someone you know shops at Gamestop or one of it's companies. Do you really want to support a corporation that makes it unsafe for their employees to work in order to line their own pockets? A manager was killed in Texas as a result of recent company policy changes. Now they only refer to this as "that incident." Let's get this straight, her name was Amber Belken, and she was 24 years old. She opened the store alone! When others have raised their voices in concern of their safety, district and regional managers ignored them. Letters were never answered. Just as The Hate, I too must ask why anyone should risk their life for a company that cares nothing for them. So one by one Gamestop drives away good people. People that I have had the honor and privilege to work with. Though I cannot tell you if I am one of the "good" people, I am certainly one who has worked for Gamestop. But no longer, and never again. We may be dismissed as mere disgruntled employees. Yet the fact remains the Gamestop's track record is less than impeccable. Their JobVent profile is in the negative. 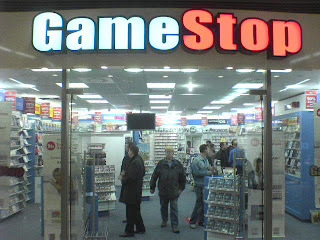 We may have been disgruntled before Gamestop had injuries that resulted from attacks and a fatality under its belt. I think this has gone beyond disgruntled.